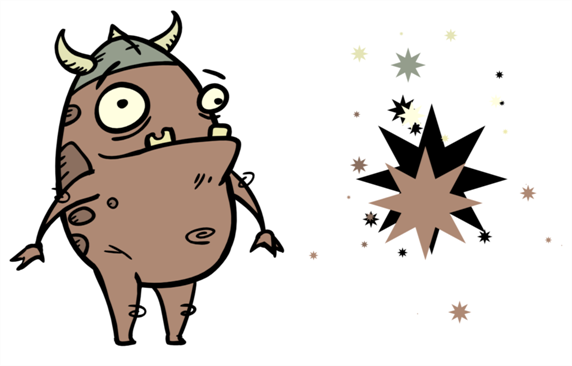 The Sparkle effect transforms a vector drawing into sparkles. You have a high degree of control over the appearance of the sparkles. The sparkle effect can only be used with vector drawings. 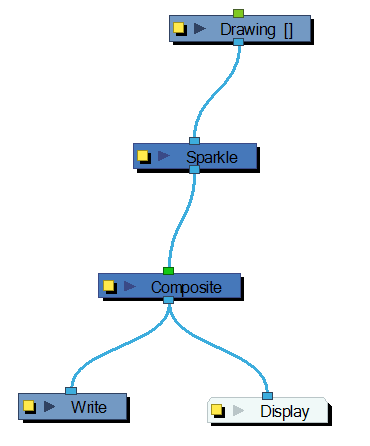 If the sparkle effect module is attached to a composite, verify that the Composite editor is set to Vector Flatten Output. Use the Sparkle editor to modify how the Sparkle module creates the sparkle effect. You can also use Bezier and Ease function curves to change the values of factors over time. • Start Angle: Enter a value between -360 and 360 to indicate the angle of rotation of each sparkle. • Scale: Sparkles are determined by the size of the bounding box of the coloured areas in the drawing. Enter the multiple to use to scale the sparkle size. • Factor: Enter a value between 0.1 and 1 to determine how pointy the sparkle is. A value closer to 0 will result in a more pointed sparkle. A value closer to 1 will result in a more rounded sparkle. • Density: Adjusts the density level. • Number of Points: Enter the number of points you want each sparkle to have. • Probability of Appearing: Enter the percentage of possibility that sparkles will be displayed. Enter 100 to always show sparkles. Enter 0 to always hide sparkles. • Point Noise: Enter a value between 0.1 and 1 to indicate the amount by which points in a sparkle will distort. • Centre Noise: Enter a value between 0.1 and 1 to indicate the amount by which the angles between each point in a sparkle will distort. • Angle Noise: Enter a value between 0.1 and 1 to indicate the amount by which the Start Angle in a sparkle will distort. • Random Seed: Enter a positive integer value that will be used to determine the sparkle pattern. 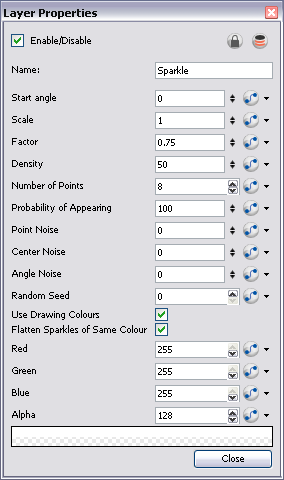 • Use Drawing Colours: Select this option to use the colour attributes of the drawing for the sparkle colour. When this selection is disabled (default setting), the colour values will be used as they are entered in the editor. • Flatten Sparkles of Same Colour: Flatten all drawings of the same colour into a single layer. • Red/Green/Blue/Alpha: In the RGBA fields, enter the values to use for the sparkle colour.